Ender’s Game is a story of relationships, courage, discipline, self control, and learning how to win without losing yourself in the process. Although I saw this movie on opening day last November, I couldn’t wait to view it again on DVD. Of course I’m always interested in what is included in the extras and the DVD version has a number of extended scenes and cutting floor clips that director Gavin Hood wishes he could have left in the theatrical release. 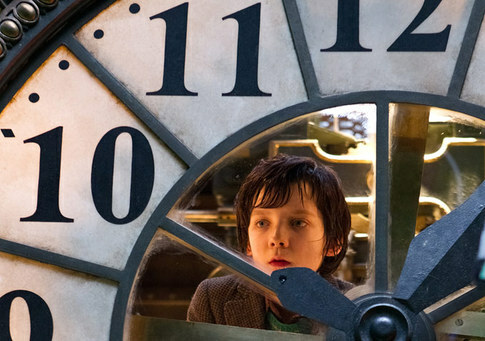 Outside of it being a Fall Block Buster, teen actor Asa Butterfield (The Boy in the Striped Pajamas and Hugo), was the main reason I wanted to see this film. 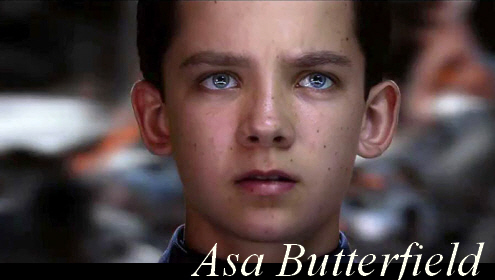 After viewing two of his previous films, I knew Asa would be a young actor whose film career I would continue to follow. Of course playing across from actor giants Harrison Ford and Ben Kingsley was truly the clincher for me. 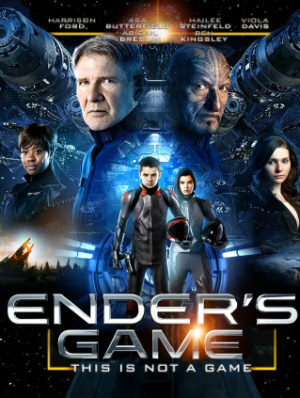 While Ender’s Game starts out much differently that Hugo with its eye popping first scene, Ender’s Game is no slouch with its inclusions of special effects and eye candy. However, it’s the story that made me a fan and believer, more than CGI effects. 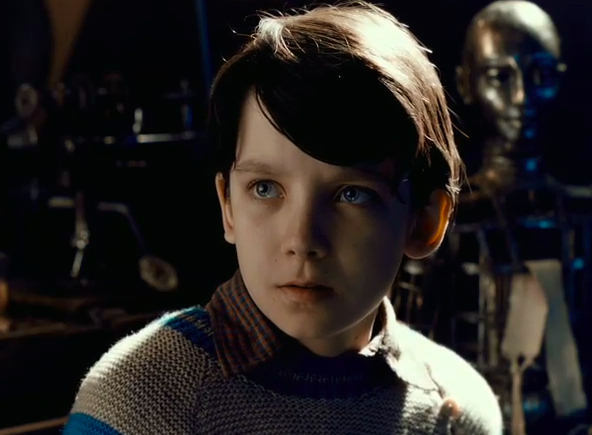 Asa masterfully captures the films version of the lead character Ender Wiggin, a shy and tender boy with an intellect not easily matched among his peers. 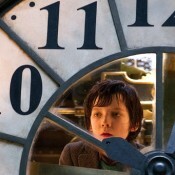 The youngest of three siblings, an older brother Peter, played by Jimmy “Jax” Pinchak whom he emulates but whose footsteps he has no desire to follow and an older protective sister “Valentine, played by Abigail Breslin, who wants him to be safe yet desires him to succeed where others have failed. A Father and Mother who are proud of him yet conflicted about letting him go. All these relationships that are portrayed on the screen and unfold at different times throughout the film enlighten us to who Ender is and what he must overcome in order to fulfill his destiny.